If dogs are man’s best friend, then Hairy Winston must be dog’s best friend. 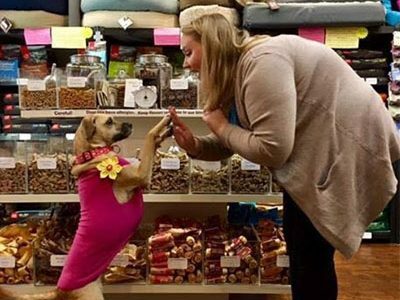 This boutique pet store, voted Best Pet Store by the readers of Mount Pleasant Magazine, is more than pet friendly. One recent customer said, “This is absolutely the best pet store ever! Hairy Winston has healthy foods, treats, toys, leashes, harnesses, collars, candles and nontoxic products to repel fleas, ticks and mosquitoes. The employees have a lot of knowledge about their products. … My dog and I highly recommend shopping here.” Jennie Dudley, a Mount Pleasant resident, opened Hairy Winston in 2008. She named the store after her hairy dog Winston, whom she always brought to work along with his sister, Sophie, until his passing from cancer in 2015. Hairy Winston offers safe, healthy products for dogs and cats. 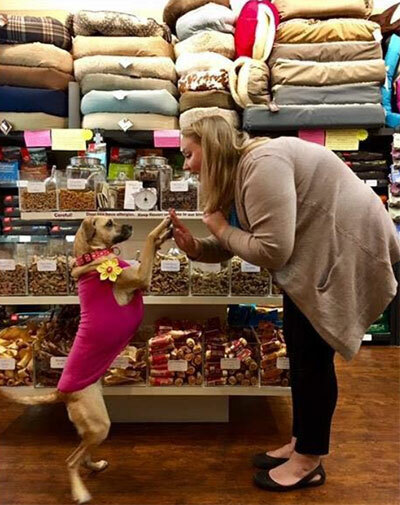 The store also includes a self-serve dog wash room with shampoo, conditioner, towels, brushes, combs and stainless-steel grooming tubs for any size dog. Located in Towne Centre, Hairy Winston welcomes dogs, cats and their humans seven days a week. To learn more, visit www.hairywinston.com or follow them on Facebook and Instagram at Hairy Winston Pet Boutique. A photo of me planning out a set of posts for the website. Hello. My name is Sophie, and I’m sure you’re glad to meet me. I am, after all, a feline, and, since I own everything around me, and I’m very graceful and all that stuff that comes along with being a cat, you are certainly properly impressed. Oh, and you’ll be glad to know that unlike your other cat masters, I won’t be condescending toward you because I’ve found that your species has some good uses – like creating cat treats! Love ‘em. Good job. Anyway, when I started working here at Mount Pleasant Pets, at first, no one really knew I was around. I work for Simon, the webmaster in the Internet Department, but, for the first four days, I spent time on the low-down, skulking around in the background just watching what was going on. At first, some of the other staffers here thought I’d quit right away or run away scared, but I was simply gathering data. Mainly, I was watching the humans and seeing how the other animals in the office dealt with them so I could figure out which humans needed more assurance and all those other things that cat overlords normally do when they move into a new environment where animals and humans mix. 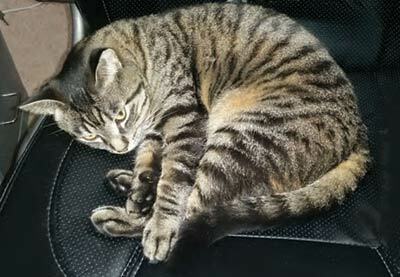 Simon, our webmaster, naps while I continue to work. My official title in the Internet Department is Feline Overlord for Content Management, and, yes, that feeling of great awe and wonder at my title is normal. It should be very impressive to you. Don’t faint; the dizziness will fade and simply be replaced by normal adoration. This job means that in between my naps and sitting around looking just wonderful, I also add articles to the website and choose images for those articles. Sometimes I coordinate between the Art and Editorial Departments to get the content I need to publish online. All of this frees Simon up for more important duties like extra naps and sitting around looking very distinguished and incredibly intelligent. Later, I moved in with Simon’s humans so I could dedicate most of my time to napping, looking great and being available for work. I chose respectfully to spend a lot of time in Simon’s home under the bed of one of his humans. I wanted to show Simon the respect he deserved for marking their house up with his scent until I could figure out which areas could be conquered for me. … Oh, I mean redesignated for me. It was very important to progress properly through the different stages of taking over Simon’s territory, including his humans. You probably don’t know that cats meow almost exclusively for humans. We need to let you know when it’s time to pet us, when we want a door opened, when we’re excited to see you – almost never – when we’re just saying “hello” or whatever it is we want to tell you. When we want to communicate with other cats, simple scents and body language do just fine. I tell you all this so you can understand how I chose to reclaim some of Simon’s areas for myself. First I got to know his humans. I meowed at them until they learned what my different meows meant so they could properly respond to my commands and needs. After they understood me, they started wanting to spend more time with me around the house. … and voila! I was introduced to new sections of the house that belonged to Simon – although at first I still chose to stay under his human’s bed. Later, I let them open their bedroom door for me, so I could venture out and conquer – I mean explore – more of their house. Months have passed, and now much of Simon’s territory has become mine – or we “share” it. I do have this nagging feeling though that he’s somehow given me more work on the website so he can have even more time to nap and look appropriately magnificent. I will have to look into that! Keep up the good work making those yummy cat treats, and we’ll talk again later. Goodbye, for meow. While the author remains unknown, this quote continues to gain momentum and popularity through social media threads, Pinterest pins and one-of a-kind Etsy creations. The truth of the matter is, families all across the country relate to this sentence. Household pets now have a seat at the table. Literally! Pet ownership in the United States has increased over the past 30 years. According to the National Pet Owners Survey, 68 percent of U.S. households (or the equivalent of approximately 85 million families) own a pet, based on the organization’s 2017–2018 survey conducted by the American Pet Products Association. Pets are part of the family. They are woven into our lives and treated with practically the same respect and care one would give other humans in that same family. Presently, more than 60 million families have a dog in their home. Many of these families believe in their hearts that their dog or dogs are more than just pets. If you ask them, they will tell you their dog is like a member of the family. Meet three Mount Pleasant families – who for various reasons – not only believe their dog is family but live every word. Will, Rusty and Suzette Haynie. 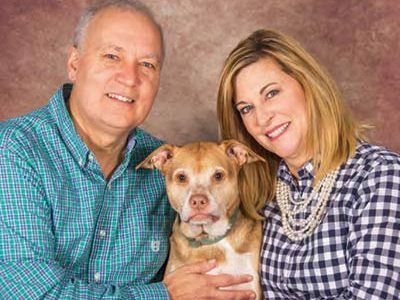 The Mayor of Mount Pleasant, Will Haynie, and his wife, Suzette, a teacher at Jennie Moore Elementary School, adore their 5-year-old mixed-breed dog named Rusty. He was a scared, tiny, little puppy, not quite 3 months old when they brought him home. Lady, their 100-pound German shepherd, was huge in comparison and could be quite intimidating. Rusty might have been small, but he was not afraid, and, shortly after his arrival, they took to one another and became the best of friends. Dogs are masters at coercing the human elements in their lives to conform to their rituals. Rusty, for instance, has replaced the need for an alarm clock in the Haynie home. Every morning he jumps on the bed, smothering both Will and Suzette with affection whether they’re ready to wake up or not. Many families make the decision to bring a dog into the home because of a significant lifestyle change. Will and Suzette chose marriage and relocation. They associate Rusty as a symbol of the happiness they found in each other and in their new life together. “He’s the happiest and most enthusiastic dog we have ever had,” said Will, adding that he shows them how to be happy and carefree. They believed they were raising a docile, easy-going rescue, but Rusty surprised them. He has border-collie like drive and intelligence. Energetic, highly intelligent and cunning at times, Rusty requires regular activities and exercise. Will and Suzette are grateful that he enjoys the beach. Lady crossed the rainbow bridge in July, and, as the family continues to grieve the loss of her presence after 11 years, Rusty makes sure he reminds them that they are his entire world. Sometimes he just sits in front of them and holds conversation through sounds, looks and paw moves. He shakes and wags his whole body whenever he sees them. Coming home to Rusty makes them feel like the most important people in the world. He completes their family. He is family. 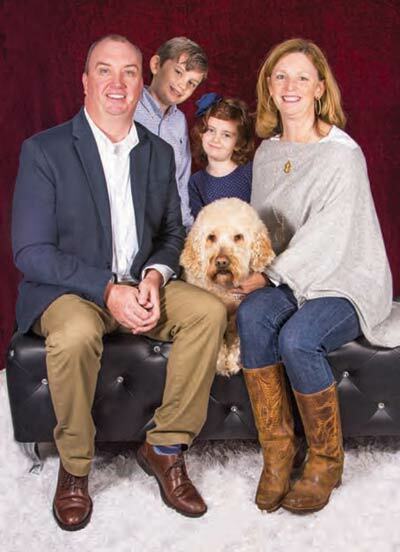 Jim and Melissa Kubu with Hank the goldendoodle and their two human children, Jamison and Olivia. Jim is a field examiner for the Department of Veterans Affairs. He serves our veterans by ensuring they receive the benefits they have so greatly earned and richly deserve. Melissa is a program coordinator in the Volunteer Services Department for the Medical University of South Carolina. She coordinates volunteers for the Children’s and Women’s Hospital. No stranger to volunteering, Melissa has spent a great deal of her life serving others and giving back to her community by working with nonprofits and service clubs. When you ask either of them about their family, they both smile and are happy to whip out their smart phones, flip through their photo gallery and show you pictures of Jamison, 9, Olivia, 6, and Hank, their 9-year-old goldendoodle rescue. Hank entered the Kubu home with impeccable timing. Struggling with the recent loss of Porter, their 9-year-old yellow Lab, days were difficult to navigate without that special dog in their lives. Close friends rescued Hank and were desperately trying to find a forever home for the adorable puppy. The pain of losing Porter played over and over in both their minds, and they were reluctant about opening up their hearts again. After many days and much deliberation, they concluded this puppy deserved to be loved, and they had oodles of doodle love for him. Hank had found his forever home. Jamison was a year old, Olivia came several years later and Hank fell right in line as one of the kids. Whenever Jim decides to wrestle with the kids, Hank is quick to jump in on some of the action. The same applies to food. A snack staple in their home is peanut-butter-filled pretzel nuggets. Hank has a fetish for them, as do Jamison and Olivia. When he hears the container, he comes running right along with them. They dole out PBP treats to all three! Given Hank’s original upbringing, Jim and Melissa have had to make adjustments to accommodate him. Before his arrival, Hank spent most of his first year of life chained to a tree outside, even when it was freezing cold. It required a great deal of love, patience and time for him to learn that he was part of the family. Hank still is a bit of a flight risk, so a set of eyes are on him at all times. He loves the beach, and racing up and down the coastline seems to bring him his greatest joy. Both children look at Hank as their brother; he is mentioned in their nightly prayers. 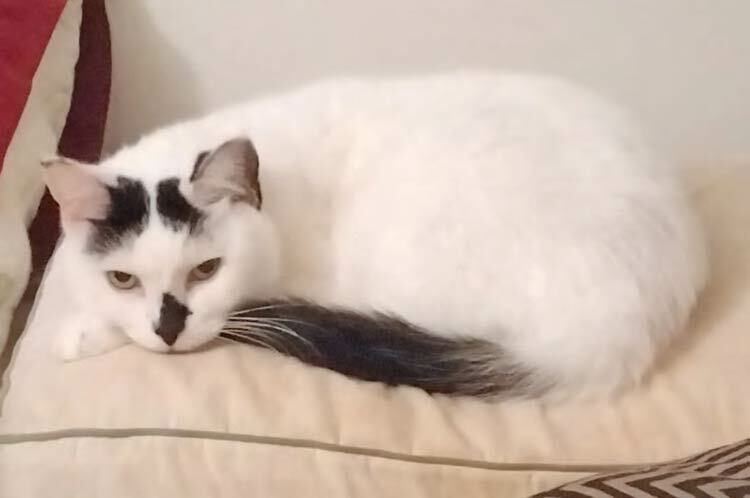 Having him in the family has helped teach the children about responsibilities, especially those connected with caring for a pet. They are grateful for his unconditional love. He is family. The entire DeLongchamps family – Dean, Caroline, Jack, Charlie and Sam – surround Bella with love. 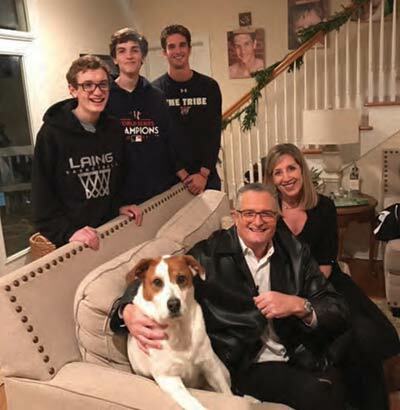 Dean, whom many of you know as Dean Stephens, anchorman of our local ABC Channel 4 station – is also a husband, father of three and best friend to Bella, a 7-year-old rescue. Bella’s mother was rescued while she was pregnant. Still grieving from the loss of a dog, the family had no plans for another. All of that changed when they met little Bella in front of a local Petco one Saturday. There was an immediate love connection, and Bella now had a family to call her own. Dogs have a tendency to not only take up residence in our heart but also to fill our mind with memories as vivid as the day they occurred. One favorite memory shared by the entire DeLongchamps family involves a summer road trip. The car was packed, and they were ready to go, yet no one could find Bella. As the entire family searched through the house, Bella was sitting in the back of the van looking out of the window at them! Dogs give us great joy, but they also bring tremendous comfort to our lives. Caroline, who works as the manager of patient- and family-centered care at the Medical University of South Carolina, knows this all too well. Following her father’s unexpected death, Bella became her shadow. As if she knew something was wrong, Bella never left Caroline’s side. “She’d curl up next to me in his big leather chair and for months she helped me absorb the pain of my overwhelming grief,” said Caroline. Dean and Caroline have opposite schedules. Bella knows this and has created her own timeline to accommodate them both. She will start her evenings off in bed with Caroline, but, as soon as Dean gets home at midnight, she jumps off their bed and curls up in her own. When Caroline leaves in the morning, Bella promptly returns to their bed and resumes her rightful place next to a sleeping Dean. With three sons – Jack, 21, Charlie, 16 and Sam, 14, Bella has become the center of everyone’s universe. She arrived in their lives while they were experiencing multiple life changes. “We rescued her, but she rescued us right back,” said Dean. Bella showers her family with puppy love 24/7 – and it is reciprocated. She has a bed in every room, is never home alone more than a few hours and has her family happily adjusted to the enormous amount of dog hair in their home, cars and wardrobes. Bella is the first thing the children look for in the morning, and she is the last kiss goodnight. She makes them whole; she is family. Studies show owning a dog can lower stress, blood pressure and depression and help cure loneliness. Research has proven people actually feel better when they are around a dog. Maybe that’s why people recover from a stressful situation faster when there’s a dog around. Dogs make us happy, and they help us feel connected to others. Cathy C. Bennett is a micro-pet influencer and the creator of Groovy Goldendoodles™ a pet blog and website centered around her two goldendoodles – Harley and Jaxson. Cathy writes about everyday life with two very active doodles. 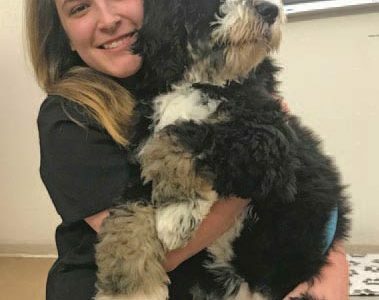 Learn more about this incredible hybrid breed, dog health and nutrition, training and grooming tips, pet therapy, homemade treats and so much more at www.groovygoldendoodles.com. That’s how all my emails from Bill Macchio, publisher of Mount Pleasant Magazine, begin. This particular one, titled “Lowcountry Live Pet Segment” with WCIV ABC News 4, was no different. Literally minutes after he sent the email, my telephone rang, and Bill’s enthusiasm soared sky-high before I could utter hello. He was ecstatic! I tried to keep up with his momentum as he speed-spoke about a concept for Mount Pleasant Pets magazine hosting a Lowcountry Live TV Show. 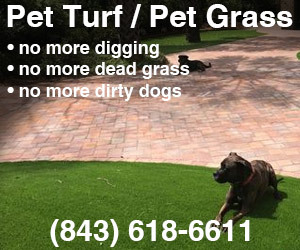 He wanted to own an entire segment and center it around pets in the Lowcountry. He also wanted me to be a part of it. As a micro pet influencer, a contributor to several magazines, as well as my own website – I was flattered, but I didn’t think it was great content for the show. I did, however, offer up a program I believe all animal lovers would have interest in: pet therapy. Bill agreed with me, and so I agreed to participate. The day the show aired, Charleston was coming out from under its worst summer storm, which, the night before, brought uprooted trees, downed power lines, severe flooding and a high tide that wouldn’t subside. As a result, it was a challenge getting to the WCIV studio in Mount Pleasant. This was a blessing in disguise for me because my focus was on alternate routes, not what I would say or if the camera would capture my heart beating out of my chest. I arrived literally minutes before the show started, but I was there in enough time to see some familiar faces. Many of the other participants were friends, which made the hugs and greetings sweeter. Sitting in the Lowcountry Live green room (news alert: The room isn’t green) was probably the best part. When you surround yourself with positive energy and like-minded people, the world becomes the best it can be. The time together was not long enough, but we were able to score a paw-some group photo. Erin Kienzle welcomed Bill and his “real” publisher, Charlie the goldendoodle. Helen Harris and Beezus the golden retriever – the “real” managing editor – accompanied them. Charlie and Beezus sure got the show off to a great start, and, back in the green room, the lineup for this pet-themed episode was quite impressive. It was bound to be a great segment. Ziggy’s Dog Parlor strives to deliver excellent grooming services. They stagger appointments to avoid having your pet wait to be groomed. They go the extra mile to provide a soft, special touch. Kristin Villa, accompanied by a helper, brought Ziggy, the mascot, and Axle, a rescue, on set to talk about how Ziggy’s loves to give their clients the royal treatment. 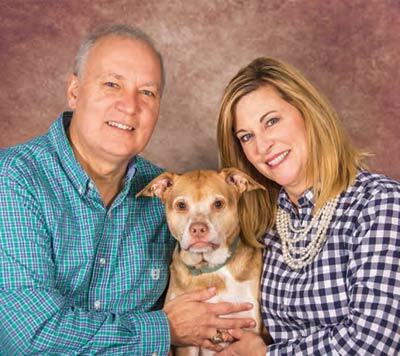 Executive Director Alan Berger talked about the four decades Pet Helpers has worked diligently to end euthanasia for all adoptable cats and dogs by keeping the animals until they are adopted. They provide lowcost surgeries, offer humane education programs and pursue animal-cruelty prosecution. For those who do not know: The 14th Annual Fur Ball Silent Auction will be held Nov. 10 at the Francis Marion Hotel. Addie the Boykin spaniel, Cameron Reid and Leigh Reid Hope are no strangers to me. Both of my goldendoodles are regular clients at their establishment in Mount Pleasant – a franchise that feels more like a neighborhood specialty shop providing extraordinary customer service. Their retail and upscale homemade-treat section rivals any boutique in and out of the state. Talented groomers with unlimited patience and canine-connection powers make taking your dog there for a spa day worry-free. For two years I volunteered at the Medical University of South Carolina in the Pet Therapy Program. Now as the program’s coordinator, I have to pinch myself every morning before walking into the main hospital with one of my two therapy goldendoodles by my side. I manage 42 incredibly caring and committed pet-therapy teams as they alter (if just for a few minutes) the days and lives of patients, families and our wonderful medical staff. Every day, we’re entering new territory in clinics, such as occupational therapy and special needs surgical-dental. We’re ushered with open arms into the ICU, labor and delivery, and many post-op procedure areas in both the main and Children’s Hospital. My segment was next to last, giving me the opportunity to watch the others. What seemed like a lengthy time to talk about your passion is not enough time when you’re the person talking. As soon as I sat on the couch, it was time to leave. But I wasn’t finished! I wanted more! Having Bill and Charlie sitting with me felt as comfortable as the many conversations we’d had in the past, before I started writing for Mount Pleasant Magazine and Mount Pleasant Pets. I applaud Bill for listening to Charlie and making this possible. The Lowcountry is one of the top-10 pet-friendly cities in the country, so it only makes sense to tell her residents and guests about these pet-friendly treasures and causes that exist within everyone’s reach. What a wonderful concept: to dedicate an hour-long segment to pets at least once a year. The guest list will continue to be extensive, I have no doubt. Drs. 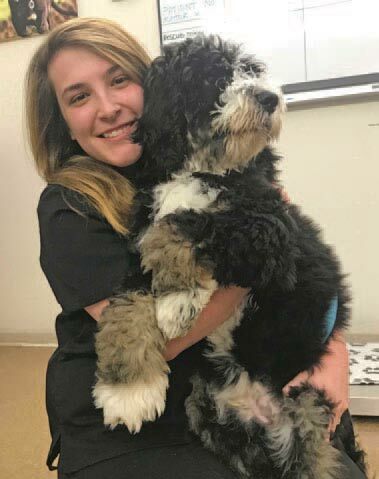 Marci Sauls and Jacquelyn Jones, along with hospital manager Kristin Levine, were sitting in a corner office of East Cooper Animal Hospital along with two furry buddies – Henry, a patient that day, and Kingston, “an employee” – when I spoke with them. 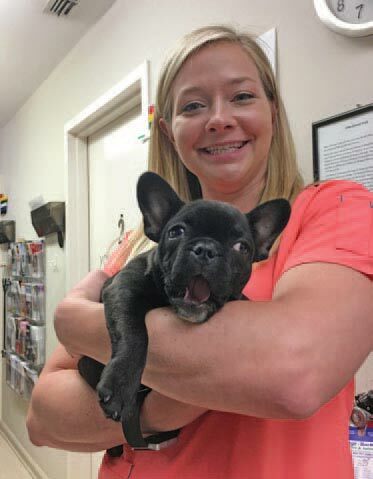 It was Dr. Sauls’ dream to own her own veterinary clinic after working in several small animal practices and emergency clinics in North Carolina, practicing as a vet in Atlanta for 10 years and working at several local practices as a relief veterinarian after coming to the Charleston area in 2010. East Cooper Animal Hospital offers services that range from routine surgical procedures and emergency and critical care to medical bathing and pretty much everything in between. There are between eight and 12 staff members at the hospital on any given day. Dr. Jones recently joined the staff after receiving her doctorate of Veterinary Medicine from Auburn University. She and her husband, Patrick, also an area veterinarian, moved to Mount Pleasant after graduation. To that end, East Cooper Animal Hospital partners with pet owners to make them aware of the importance of proper pet care. Because pets are living longer, their maladies have changed a bit over the years, explained Dr. Sauls. Dr. Jones said schooling for vets today includes advanced diagnostic training and even how to offer grief counseling for owners that have had to have their beloved friend euthanized because of a terminal illness. A growing concern for the veterinarians is the increase in animals they see that have ingested sago palm seeds or had exposure to any part of a sago palm plant. Being a proactive owner, regular checkups and vaccinations can go a long way toward protecting your pet and ensuring his or her health and longevity. For more information, call 843-884-6171 or visit www.eastcooperanimalhospital.com.